An American man conducted an experiment of his own to test whether hitting a door with a cricket bat might really sound like a gunshot from a distance, as Oscar Pistorius's lawyer Barry Roux put it to the state witnesses. The results might surprise you. 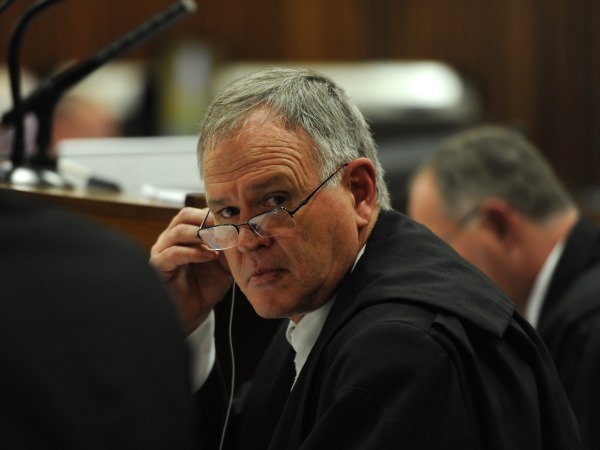 Oscar Pistorius's lawyer Barry Roux put it to the state witnesses that the gunshots they thought they heard from Oscar's house may have been him trying to break down the bathroom door with a cricket bat. Oscar's neighbour Michelle Burger was adamant she heard gunshots and didn't think a cricket bat hitting a door would sound much like a gun at all. American Jason Alexander, who identifies himself as a 'certified crime scene analyst', decided to test it out for himself. The results might surprise you.